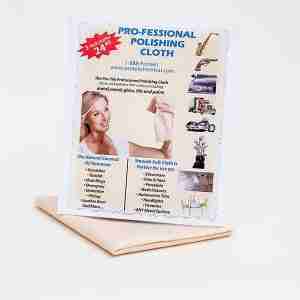 View cart “Pro-Tek™ Cleaning Kit” has been added to your cart. This is the best cleaner out there. I used this stuff daily when I sold it and still use it. Price, versatility and effectiveness this stuff has it all. 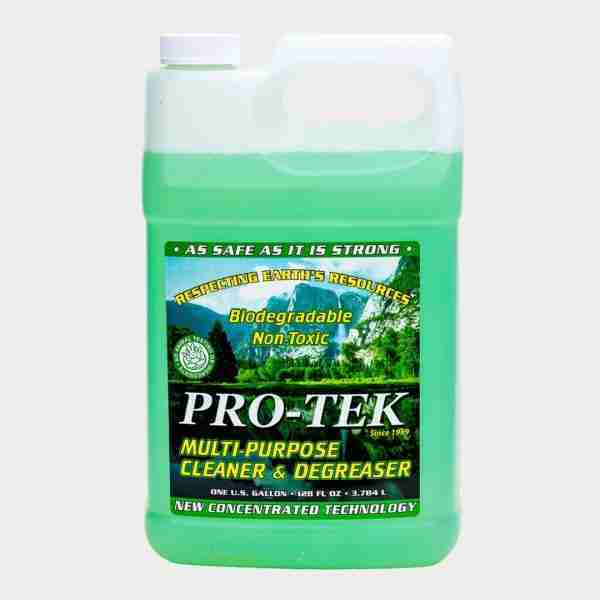 Just realized we are down to the last bit of Pro-Tek and hubby just asked “if we run out, what are we going to do” so I’ll be ordering more cause it is the best cleaner we have ever used. It is our only go-to cleaner. Love this stuff. I use it for everything. Have used this product for many years. It is the best cleaner you can purchase. Can’t do without it. I have been sold on this as my go to since someone came to my door in 2000! 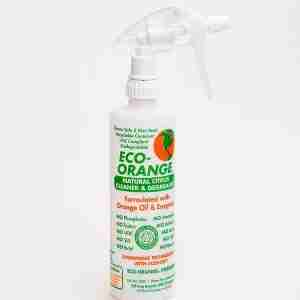 It is my miracle maker to take stains out of clothes, carpets, you name it, it works! I also feel confident with the stuff around my dogs and little one as the sales guy even DRANK the solution to show it’s non-toxic! Highly recommend the stuff to anyone needing a go to cleaner that works! Awesome product. I’ m very pleased with it. It instantly removes all tough stains and grease. I strongly recommend this product. i bought 1 quart from a door to door salesperson, a kid and he gave me a demo. and i was sold, now i’m out and its the best i’v seen . I love this stuff! I believe in it so strongly, I want to go door to door just to show people how great this cleaner really is. I rarely use anything else. The Best you can buy. Don’t wipe on and wipe off though, let it sit for a few minutes. Been using it for years. Just used it to clean up DRIED NAIL POLISH out of my CARPET. yes you read that correctly💅 big Globs of dried black nail polish !!!! I have a 5 year old daughter and a six month old daughter and nail polish is going to be a huge problem in my house…. but it’s not so bad now that I know this little trick! Just brought my pontoon home from the cottage and getting it ready for winter storage. I was just going to power wash the tubes like I have done in the past, but for whatever reason it just wasn’t coming off. Then I remembered the Pro-Tek cleaner I had bought several years ago. I thought well I have nothing to lose by trying it. They said it would clean anything. Well, lets just say, when my wife saw the boat after I finished and it looked like the day we bought it she was in awe. I was shocked myself that it cleaned the tubes so well. I just sprayed it on, and let it sit for 5 minutes. Then I sprayed it again and scrubbed them with a brush and the grime from sitting in the lake all summer just came right off. Pretty impressive. So I am ordering more today as I only have a small amount left. Just became my go to cleaner for sure. I also used it on my fishing boat with the same result. Very pleased. I even have before and after pictures if anyone needs a little proof this stuff really works. Excellent product. Salesperson (Gio – #317) came to the door. At first I was not interested having someone come to the door. He was persistent (not obnoxious) and showed me how the product worked on our tiles; on the window, and on a magic marker stained rag cloth. After such an aggressive but instructive demonstration how could I turn down his sale!. 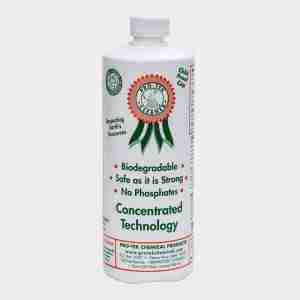 Used the product on our house tiles and it works better than products we’ve used in the past. No Chlorine; no smelly odors; and even though instructions say one does not have to clean up, I used our steamer to remove any remaining product. The flooring is shiny and clean. 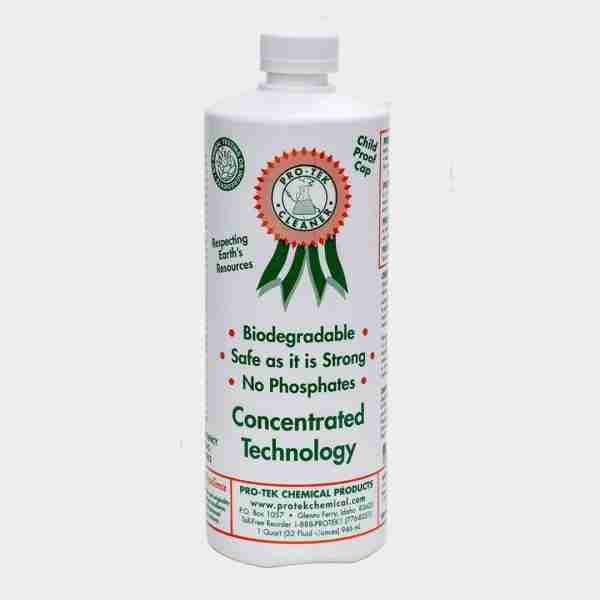 The price is reasonable considering that it does not contain chemicals and pollutants like so many others. Glad I bought 3 gallons. Thanks Gio! I bought this stuff from a salesman who was walking the neighborhood and he sprayed it on a couple things in my yard and I was hooked. Just noticed I was getting low and luckily I found the web sight. will definately be ordering more. great stuff. David, we’re so glad you love Pro-Tek and let us know if you need help with ordering more. Hi, David! 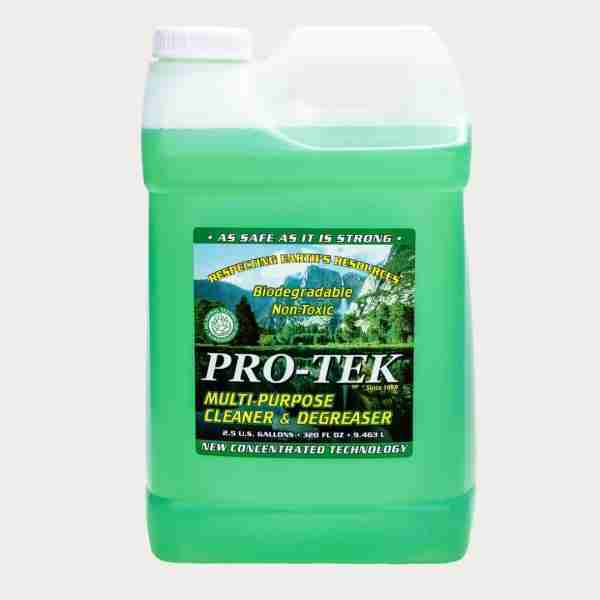 We’re assuming you found Pro-tek a great cleaner for your patio furniture and oils stains on the driveway? We’d love to see your before and after pics, and let us know if you need help ordering more. My husband bought the first gallon from a door to door salesman. I was upset at what he spent for a household cleaner. Well… boy was i eating crow. This is the best cleaner we have ever used. I gets out pet pee stains and any odors left behind. I use it on my sneakers, coats, counters, floors, name it, I use it for that too! Love and recommend to anyone and everyone! We just ran out, and again i was upset, because he hasn’t ordered it again!!! wow i sound like a grump ! Hi, Marion! 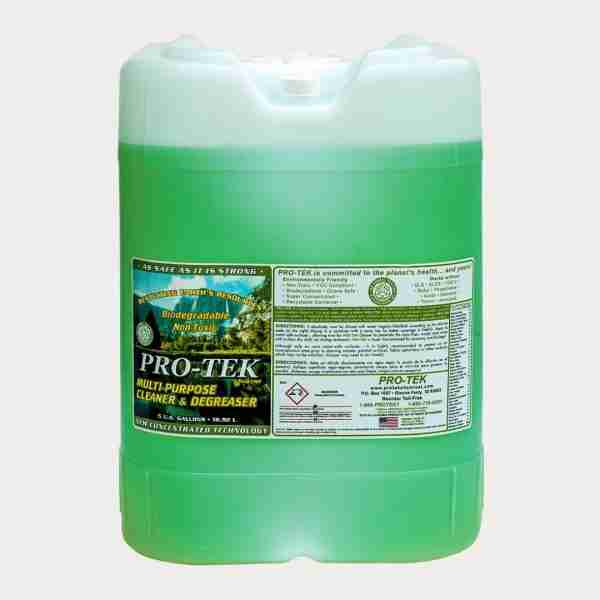 We’re glad you’re finding Pro-Tek SAVES money because once diluted, it’s a fraction of the price of other store-bought cleaners. And, you can see it works for just about everything–maybe even marriage?!?! Lol! You sound like a cleaning machine. We’d love to see your before and after stain-removing pics!